Nice. That is enough seats for the people that want to use it and enough money to do so. Like tennis stars , F1 drivers. They go all over the world. 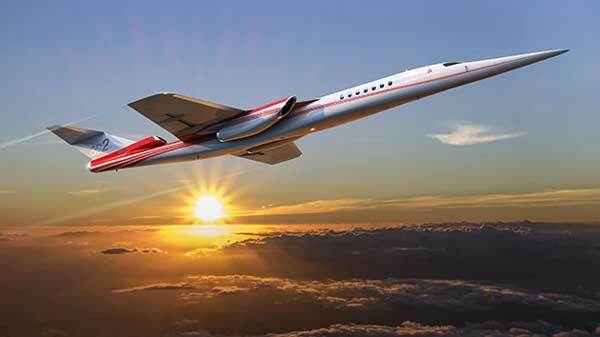 A T tail on a supersonic aircraft? F-104 had some bad traits due to that right? Im surprised that they did not go with boom, though 2 different markets. Boom is going for the airlines, and will be shooting for 50 passengers who are first/business class in normal flights. In this case, Boom at mach 2.x, should be able to cross the pacific or the pond relatively quickly. This 12 seater will do fine for a business type flight. Yeah–but I love a T-tail. Anything but these ugly twinjets filling up the skies.